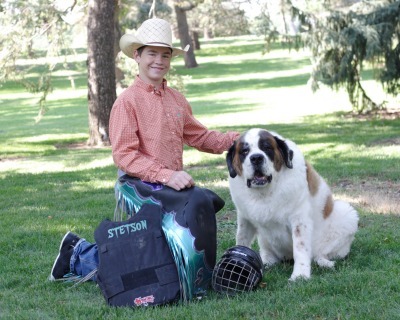 Stetson is a strong and determined 16- year old cowboy from Worland, Wyoming. His passion for riding landed him in the hospital after a bull riding injury on October 7, 2012 that crushed his lower leg. Due to the severity of his compound fracture and battle with infection, Stetson was referred to Dr. David Hahn in December of 2012. Realizing Stetson’s injury would require a great deal of care, Dr. Hahn approached the recovery of his leg with a team of specialists from the Denver Clinic for Extremities at Risk. 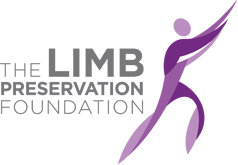 Stetson received IV antibiotics under the care of Dr. Raymond Blum and reconstructive plastic surgery performed by Dr. Conrad Tirre, while Dr. Hahn monitored his improvement with the aid of an external fixator. Faced with difficult moments, Stetson’s ambitious soul and supportive family have helped him overcome each obstacle. Growing up in a world of horses and hunting, Stetson’s love for bull riding, wrestling, and even unicycling has not faltered. He looks forward to regaining the normality of being a teenager and doing what he loves, competing in bull riding competitions and wrestling for his High School team. Molly is a gorgeous eight-year old Saint Bernard! Molly hasn’t missed a beat in her treatment of and recovery from treatment of osteosarcoma in her right distal radius. In addition to enjoying cancer free life, Molly is reaping the benefits of being a (newly) big sister, including a healthy dose of teething treats and baby food! Molly has fully adapted into her new role as a nanny dog. Not only is she big in size, but also big in heart. The Foundation has helped lift the financial burden for Stetson and his family by providing lodging, food costs, and transportation in order to travel from Wyoming to Colorado for his treatment. Faced with the threat of losing his limb, Drs. Hahn, Tirre and Blum were determined to give Stetson the greatest chance at leading his best life possible.